Rev up for some fast spins around the reels with the Good To Go pokie from Microgaming. It’s got images of racing cars, pit lane girls and chequered flags to go with the theme, while wild wins and a free spins round that can bring in some big payouts add to the appeal. Good To Go comes with the standard 5 reel layout, with 9 paylines. The reels dominate the game, with no room for a background image, so we just get plain black behind them, although the payline indicators are nicely designed to look like starter lights and the logo below the reels looks good, with a red racing car added to make them stand out. At the very bottom of the screen is a control panel that players use to set the amount staked on a spin, and to actually spin the reels. There’s the option to bet just 0.01 on a single line for anyone who wants to just see how it all works, while the value of a coin can be adjusted up to a maximum of 1.00 and anything from 1 to 10 coins can be staked on a line for a maximum possible bet of 90.00 per spin. Wins occur when 3 or more of the same symbol land across an activated line, provided that the row of them starts from the 1st reel on the left side. 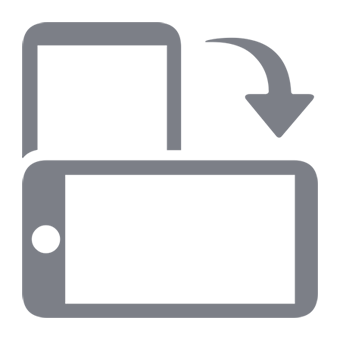 As for the symbols themselves, we have the usual low value 10, J, Q, K and A icons, all made to look as if they are made from stainless steel, while the higher value ones are specific to the theme and include a racing car wheel, the flags, a racing helmet, the G2G sign and a front view of one of the cars. In practice, the lower value card symbols tend to dominate the reels, with just the odd example of the higher value ones dotted around, which makes the game look a little plain, but wins should come fairly frequently with just the 5 symbols taking up much of the available spaces and they flash a little to add some visual appeal when part of a winning combination. The pit lane girl is a wild symbol, so she helps out players by acting as all others except for the scatter to make up winning combinations, plus she’s a very valuable young lady when making up a line on her own, with just 2 examples needed for a 2x the line bet prize and a full row of 5 being worth the game jackpot of 5000x. The scatter is a rev counter, although technically it’s not a scatter symbol at all, as it needs to run from left to right for a win, rather than being literally scattered around the reels as the name would suggest and is usually the case. But never, mind, as it will still pay out some decent prizes that are multiples of the total bet per spin, while 3 or more will start the main feature of this game. It's a free spins round and although only 3 spins are awarded, whichever reels contained the scatter symbols that triggered the free spins will be held in place throughout them. Any additional scatters will also remain in place, leading to extra wins, and to top it all off, should players end up with 5 scatters in total at the end of the spins, the win is repeated 3 times over. Wins below a certain amount can be gambled, with players just having to decide if a playing card will turn out to be red or black to double the amount just won. A correct guess means the new amount can either be collected, or gambled again, over and over until the limit is reached, while a wrong guess at any stage forfeits the winning bet and any gamble gains. Is it in Pole Position, or is it The Pits? 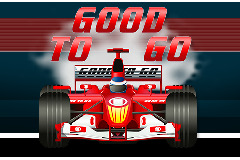 While it’s not perfect, Good To Go is a solid all-rounder from Microgaming. Although there are a few other pokies that cover a similar theme, it’s surprisingly not very common, so racing fans are sure to enjoy the images of cars and pit lane girls. Others however, may feel that 3 free spins, even with extra scatters, isn’t a great deal, but overall there’s little wrong with the game.